Wanted to share some progress pics of my build. 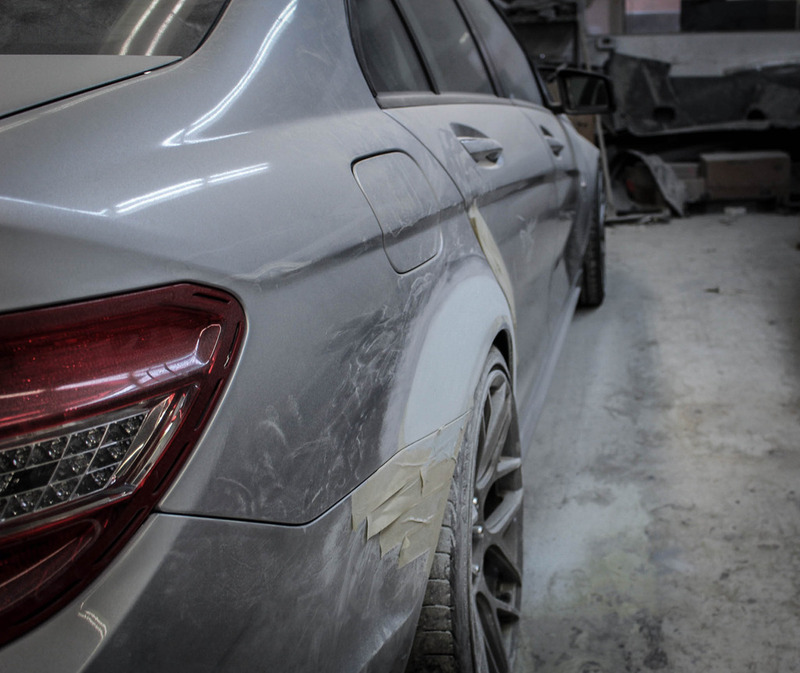 I set-out to tune the C63 with 1 goal in mind, to build a car that to me was timeless. I wanted a car that aged well. Being an immense fan of the aftermarket world, I have come to realize that building a well balanced vehicle takes time. There are so many "trends" in the aftermarket scene, you sometimes forget that additions to your car may not always work out for the better. I wanted to add subtle enhancements to the C63, not to change its overall character but to improve upon them. The C63 has brooding presence to the people who know what it is. I wanted to keep that trait. 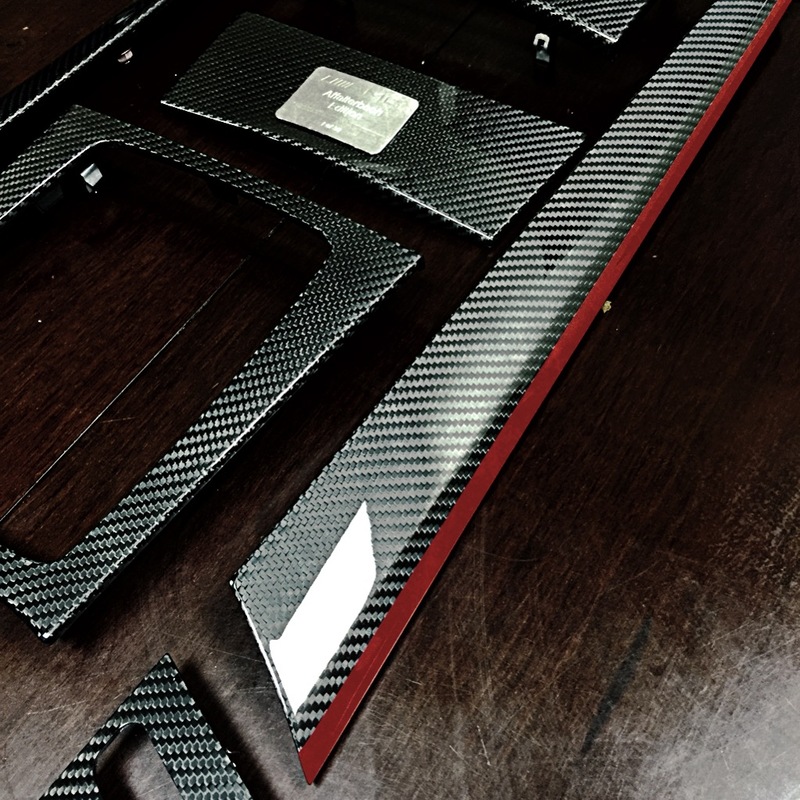 I approached the build of my C63 from an enthusiasts point of view. Working with vendors and well know marques from around the world. I have met and became friends with enthusiasts across the globe. I continue to work towards the vehicle I envisioned from the get-go and they are all part of this too. To me this is one of the most rewarding aspects of this build. Over the frigid winter months here In Toronto. I was busy at work building my new set of wheels. A set of Original German made BBS LM's. sizing are 20 x 8.5 ET 36 Front and 20 x 9.5 ET 36 Rear. Finding this set was extremely hard for me. I combed through the internet for months before i found a set suitable for the build. 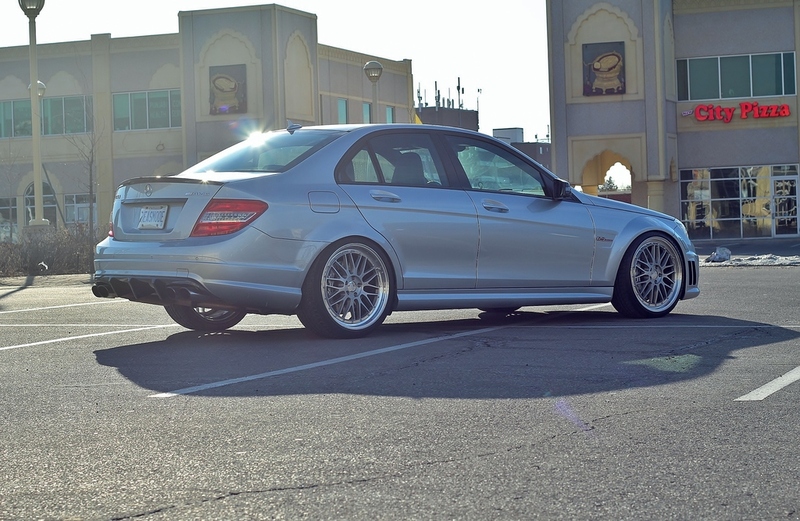 Before you think it, yes 20's on the C63 IMHO are too big. 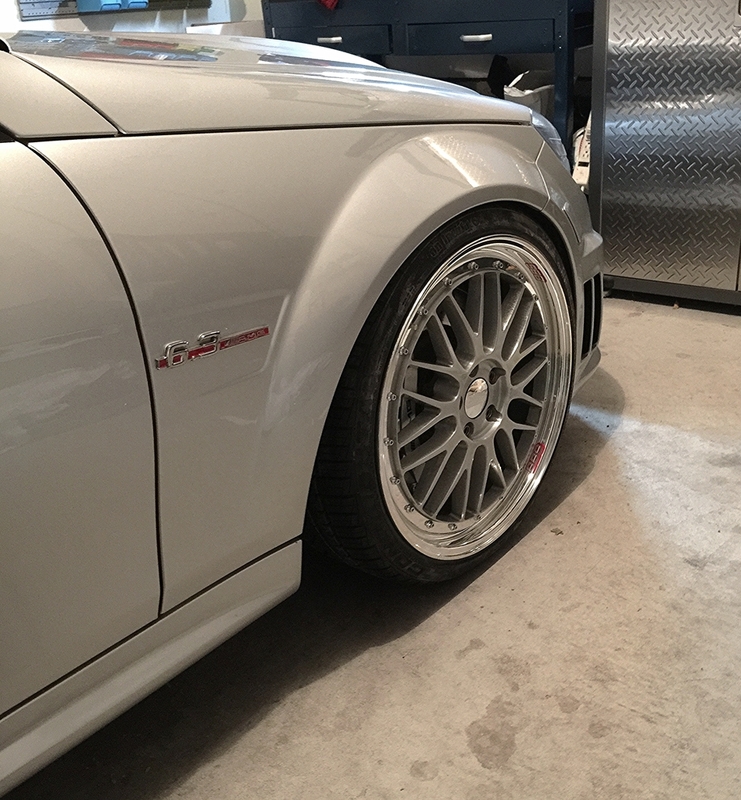 But if you have had experience with BBS LM's they step lip essentially makes the wheel appear 1 size smaller. These are the only wheel I would do in 20's for the C63, I would have preferred a 19 inch setup, but I wanted an overall improvement of performance and aesthetics there was no compromise on the wheel selection. It was BBS LM's or nothing. I am lowered on H&R Coil Overs - In stock body form I could have fit this setup with stretched tires and camber. However, I wanted to do it right. So i decided to widen the rear fenders by 1.25 inches per side. The fender modifications were not meant to be a full on wide body. It's meant to be proportionate to the front fenders. 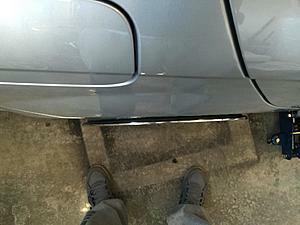 In an effort to avoid getting into further widening of the rear bumper / rocker panels and door jambs. We massaged out the OEM aluminium quarter panels. This was the route i chose to take, simply because I retain all the factory mounting points for the bumper / fender liner etc. I wanted the fender to look OEM inside and out. Over the course of the winter, the good guys at MBTN and myself decided to run a group buy on a strut bar I helped produce. It was a small upgrade, but the end product was exactly how we planned. 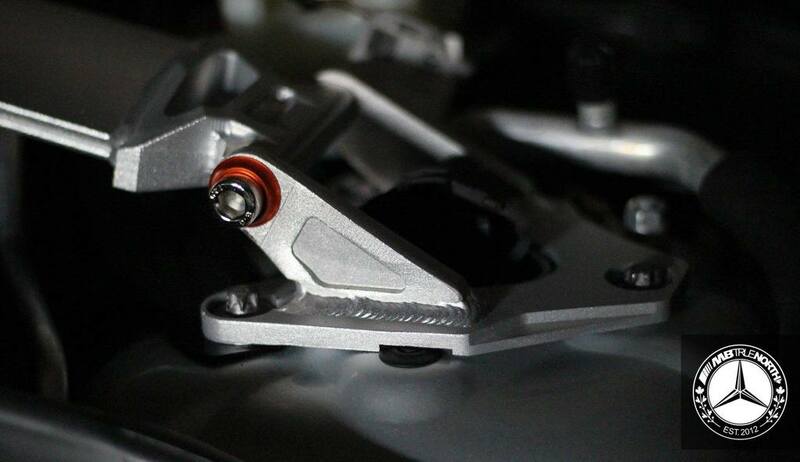 A 100% bolt on piece that aided in handling and longevity of the soft moving parts of the front axles. Great up-grade really transformed the visual appearance of the engine bay. Over the next 2 weeks I hope to wrap everything up, its been months in the making. 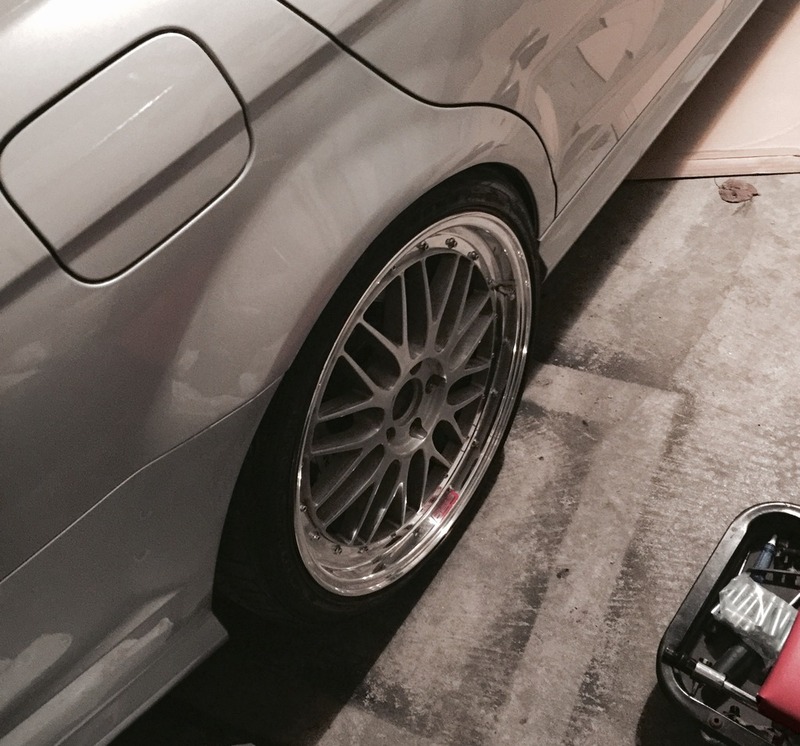 Lots of cold nights out in the garage measuring / researching has gone into this round of upgrades. I will keep you all posted as to my progress! Ensuring the Fenders are proportionate and even. Almost there! Just some more sanding and prep before paint. The Matching Steering Wheel is en-route. Last edited by Kriston; 04-01-2015 at 09:29 AM. Love it. Can't wait to see it all put together. Also...what are you planning on doing with those HREs? Hey Chris they will be up for sale in the next week or 2. I get the car back from the body shop tomorrow. I needed longer studs for the LM's. Once they come in I will swap out the HRE's, clean and polish them and have them up. 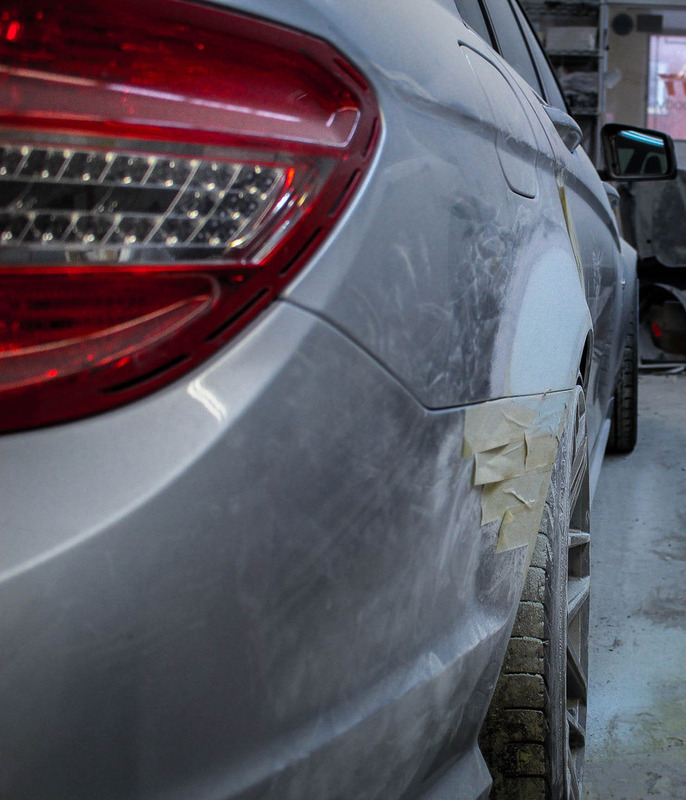 Hope you put up more pics of the rear fenders in progress. I am still weighing the options of doing it correctly by swapping my rear SAM unit and going with an OEM LED set. Alternatively I can go with an aftermarket option which I'm sure works well. But I am also weary of long term use. But yes - They will also be changed, I just haven't decided which route to go with. looks like youve had a busy winter. Have to admit i've got no clue what goes into widening the rear fenders. I had to do the LM's some justice on the C63. Hopefully it all comes together well. Indeed a very busy winter, and a cold one at that! I froze my *** off in -20 degree weather tinkering away in the garage! There are a few ways of widening the fenders, the key is making and contouring it to look like a factory installed panel. I'm interested in the rear fenders a a well. 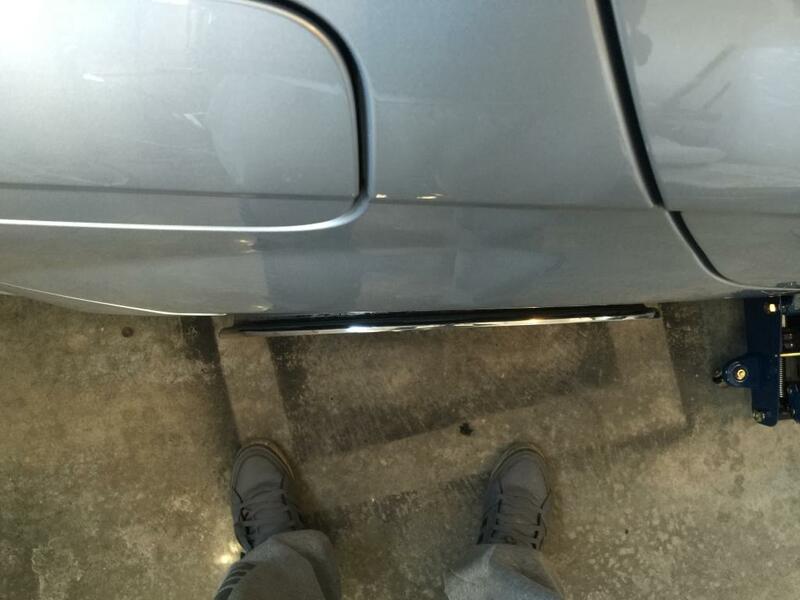 Did you relocate the bumper tab bolt then rolled and pulled flat? Interested to see the final product. The tabs were not relocated for the pull. The Fender liners held in place with plastic screws. The liner bolted up to the original mounting points. Actually I maybe missed the strut bar group buy. Did you post in here? Kriston excited for you as you have always had great taste in modifications and updates to your car. Godspeed and can't wait to see the final results...! That turned out great not too overly aggressive, blends really well with the rest of the lines. Looking sick bro! What size tires are on there now? And what size tires u think can fit.. 275-285?? Those are 255's on there right now Meng. I used a 255/35/20 tire to ensure the fender profile was built out taller for 2 reasons. So I have some extra room to lower the car to compensate for the 20 inch setup and to have the ability to run a taller profile tire out back. For hook up a taller softer compound tire works well for every day use. Sidewall compression under load will expand in section width. Plus its a bit more comfortable. I know the 25 profile tire is needed to compensate for the +1 wheel size in order for the speedo to be correct. But I need a bit of comfort for everyday driving and a 25 Profile tire wont happen for me.